Can games make us more empathetic? It’s a question that’s still up for debate among designers, players and cognitive scientists alike. While videogames are often built around an illusion of moral agency, it’s still uncertain as to whether videogames can actually facilitate empathy for marginalized people and those different from us, or if they simply reinforce our preconceived beliefs. But perhaps this is because games aren’t often about empathy. Rarely are we asked to center the experience of a diverse array of people and see the world through their eyes. Life is Strange was groundbreaking from its very first episode. It felt revolutionary in how it starred not just one, but two, teenage girls who weren’t sexualized and who mirrored the ordinary and complex lives of real people. As the first season went on, it would also touch on themes like mental illness, queerness, intimacy between women, abuse and disabilities, making the game immensely popular with players and critics alike. While these aspects captured the attention and love from critics and fans, Life is Strange centering two queer teenage girls almost prevented its existence. Every company besides Square Enix passed on the game—they enjoyed the game’s concept but asked the development team to change Max to a male protagonist. 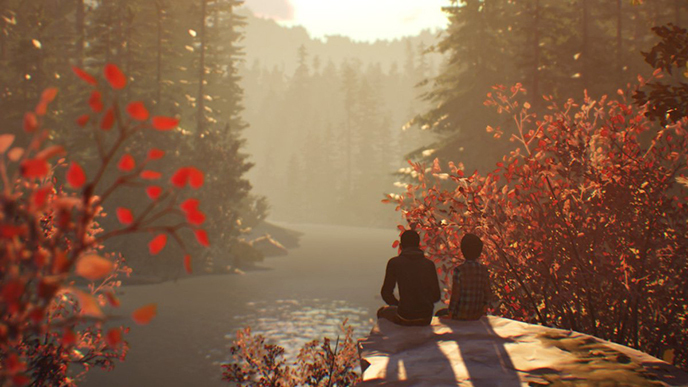 Given the lack of female protagonists in games, some were skeptical when Life is Strange 2 was revealed to star two boys, viewing it as a step back from the first season. 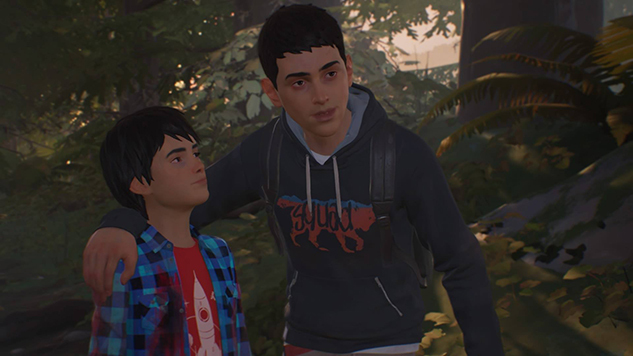 But the protagonists of Life is Strange 2 aren’t just any boys—they’re two Latino brothers, who are forced to go on the run after a racist attack leads to a deadly encounter with the police, an especially compelling and important story given the current political climate in the United States. While the game began development before the election of Donald Trump, this decision to tackle such an intense and relevant social issue was deliberate. Many fans of the first season were surprised to see that a team of white male leads would be so successful at writing a genuine and heartfelt story about two young queer teen girls. After seeing the demo of the first episode of Life is Strange 2, I too admittedly felt anxious, despite the trust the team had established with their sensitive handling in the first season, and braced myself for the seemingly inevitable signs of clumsiness. I expected an errant written line with one or two random and simple Spanish words shoved in, a game that would fail in representing what the experience of a Latinx person can be or give merit to harmful stereotypes. To avoid making these sort of mistakes, Divine starts from his own identity as a marginalized person. “I know what it’s like to be marginalized,” he says. “I have spent my whole life that way. I’m disabled—I was born with one hand, so … I never say that I know what it’s like to be a person of color or a Latino person or anything like that. Part of what you’re doing when you’re a writer is you’re putting yourself in another person’s shoes. Anybody who’s reading this, if you’re interested in being a writer, your first order of business is to be interested in other people. You really have to step outside yourself. It’s not about you.